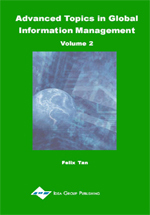 An important line of research on global information management examines the effects of national culture on information technology (IT) development, operations, management, and use. This chapter argues that global information management researchers should not lose sight of structural conditions related to business-to-business and business-to-consumer e-commerce activity. Structural conditions are physical, social, and economic arrangements that shape e-commerce business models and influence individual and organizational use of the Internet. Examples include geography (which affects the physical distribution of goods purchased online), space (which influences the choice of access technology for e-commerce), and financial infrastructure (which is related to credit card use). Structural conditions differ from country to country — and even from location to location within country, but they are not necessarily related to dimensions of natural culture. Therefore, valid explanations of global differences in e-commerce activity require a careful assessment of relevant structural factors.